Draft: 2012, Seattle Mariners, 5th rd. Christopher Armand Taylor…graduated from Cox (VA) High School in 2009, when he was named the Virginia Class AAA State Player of the Year…played college ball at the University of Virginia (2010-2012)…selected by the Seattle Mariners in the fifth round of the 2012 First-Year Player Draft. In his third season with the Dodgers, posted career highs in games played (155), runs (85, tied w/ 2017), doubles (35), triples (8) and walks (55)…posted a .254/.331/.444 slashline with 17 home runs, 63 RBI and nine stolen bases ... Led the team in runs scored, doubles and triples…ranked among the top 20 in the National League in runs (T-19th), doubles (T-11th), triples (T-4th), extra-base hits (60, T-14th), hit by pitches (9, T-17th), pitches per plate appearances (4.09, 15th), batting average on balls in play (.345, 10th) and WAR (5.0, 13th) ... Finished the season strong, slashing .345 (20-for-58)/.433/.586 with 16 runs, five doubles, three homers and nine RBI in his last 25 games since the beginning of September…finished September with the fifth best batting average in the National League, while ranking sixth in the league in OPS and ninth in OBP ... Spent the majority of the season at shortstop (81 games, 73 starts), but also saw time at center field (50 games, 32 starts), left field (24 games, 18 starts), second base (12 games, five starts) and third base (eight games, three starts)…posted a .981 fielding percentage as an outfielder (2 E/458.1 IP), while recording a .972 combined fielding percentage overall (12 E/1179.2 IP) ... Appeared in 74 games as the leadoff hitter, with his three leadoff homers tied for fifth most in the National League ... Went 5-for-16 (.313) as a pinch-hitter, including stroking second career pinch-hit homer (June 25 vs. CHC)… launched his first career walk-off home run and his second career walk-off hit with a solo shot in the 10th inning on September 18 vs. COL ... Appeared in 15 postseason games for the Dodgers, batting .282 (11-for-39) with a double, triple, home run and three RBI. In his second season with the Dodgers, he had a breakout year posting a .288/.354/.496 slashline with 85 runs, 35 doubles, five triples, 21 home runs, 72 RBI, 17 stolen bases and 50 walks in 140 games, which were all career-bests ... Despite starting the first couple of weeks with Triple-A Oklahoma City, he led the Dodgers in multiple offensive categories, ranking first in doubles (34), triples (5), and stolen bases (17)…also ranked in the top 25 in the National League in batting average (21st), SLG (20th), OPS (.850, 22nd), doubles (T-12th), triples (T-15th), extra-base hits (T-19th), stolen bases (T-15th) and stolen base percentage (81.0%, 4th) ... According to Fangraphs.com, he finished 13th in the NL with a 4.7 WAR, which was the third best on the team behind Corey Seager (5.7, 7th NL) and Justin Turner (5.5, 9th NL) ... Hit .316 (48-for-152, 6th NL) with six homers and 27 RBI from the seventh inning and later…his .368 (28-for-76) average in close and late situations was the best mark in the NL and ranked third in the Majors ... In 74 games as the Dodgers leadoff hitter, he posted a .302/.370/.530 slashline with 51 runs, 17 doubles, three triples, 15 homers and 42 RBI along with seven stolen bases…collected three leadoff home runs, which tied for fifth most in the NL ... In 70 road games he hit .336 (4th ML) with 14 homers and 47 RBI, compared to a .237 mark with seven homers and 25 RBI at Dodger Stadium ... Appeared in the outfield majority of the season, playing 49 games (47 starts) in center field and 48 games (46 starts) in left field, while also playing 22 games (19 starts) at second base, 14 games (10 starts) at third base and eight games (three starts) at third base… posted a .989 fielding percentage (2 E/800.2 IP) in the outfield and recorded seven outfield assists (T-12th NL) ... His three grand slam homers tied for the second most in the Majors and tied for most in Dodger franchise history, joining Kal Daniels (1990), Mike Piazza (1998), Adrian Beltre (2004) and Matt Kemp (2009)…went 6-for-10 (.600, 5th ML) with the bases loaded ... On July 22 against Atlanta, he went 2-for-2 with a homer and a triple after entering the game in the seventh inning as a defensive replacement and according to the Elias Sports Bureau, he became just the second Dodger player since 1900 to hit a triple and a home run in a game that he did not start in, joining Gordon Windhorn, who accomplished the feat against the Phillies on Sept. 12, 1961 ... Led the game on Sept. 18 at Philadelphia with his first career inside-the-park home run, which was also the club's first inside-the-park home run since 2011 (Trent Oeltjen) and L.A.'s first leadoff inside-the-park homer since manager Dave Roberts did so against the Cubs on 2003 ... Appeared in all 15 postseason games for the Dodgers, hitting .254 (15-for-59) with 12 runs, four doubles, one triple, three homers and seven RBI along with a .889 OPS…named co-MVP for the 2017 NLCS with teammate Justin Turner ... According to Elias, he is just the fourth Dodger player to reach base safely in each of his first seven World Series games, joining Roy Campanella (first nine, 1949-1952), Steve Garvey (seven, 1974-1977) and Steve Yeager (seven, 1974-1977)…reached base safely in all 15 postseason games ... Started the year with Triple-A OKC, where in 10 games he hit .233 (10-for-43) with two doubles, two triples, one homer, and five RBI... recalled on April 19 and spent the rest of the season with Los Angeles. In 36 combined games with the Mariners and the Dodgers, he hit .213 (13-for-61) with two doubles, two triples, one homer and seven RBI.. Acquired by the Dodgers from Seattle on June 19 in exchange for RHP Zach Lee after playing in just two games with the Mariners, going 1-for-3 with two strikeouts...Made three stints with the Dodgers, batting .207 (12-for-58) and appeared in 10 games (two starts) at third base, seven games (five starts) at second base and five games (four starts) at shortstop...Slugged a grand slam home run in the sixth inning off of Silvino Bracho on July 15 at Arizona for his first career big league homer…also recorded single-game career-highs in runs (3), RBI (6) and extra-base hits (3), while tying a career-best in hits (3)...Split time between the Mariners' Triple-A Tacoma and the Dodgers' Triple-A Oklahoma City, posting a combined .322/.397/.474 slashline with 25 doubles, six triples, three homers, 37 RBI and 17 stolen bases in 78 games…hit a combined .395 (30-for-76) with runners in scoring position. With Seattle - Appeared in 37 games with Seattle in two stints: May 4-June 1 & July 2-30. ... The Injury - Began season on DL with fractured triquetrum bone in right wrist (retro 3/27)…activated & optioned to Tacoma April 18. ... Defense - Appeared at shortstop (28 G, 25 GS), second base (4 G/2 GS) & third base (1 G). ... Tacoma Recap - Hit .300 (103x343) with 56 runs, 20 doubles, 6 triples, 4 home runs, 32 RBI, 50 walks and 16 stolen bases in 86 games with AAA Tacoma. ... PCL Ranking - PCL Rankings: T7th in on-base percentage (.391) & T12th in triples (6). ... Multi Hits - Recorded 27 multi-hit games, including 2 season-high 4 hits games. ... Instructional - Ended season participating in Mariners instructional camp in Peoria, AZ. Appeared in 47 games, making 40 starts (all at shortstop), hitting .287 (39x136) with 16 runs, 8 doubles, 9 RBI... Hit .325 (26x80) with 11 runs, 6 doubles and 5 RBI in ﬁrst 28 games; hit .232 (13x56) in ﬁnal19 games (Aug. 29-end of season)... Hit safely in his ﬁrst 12 starts, 2nd-longest hit streak as a starter tostart his career in club history (James Jones, 15, May 6-24, 2014)... Had three hitting streaks of at least 5 games including a season-high 6-game hitting streak Aug. 5-10 (.450/9x20, 5 R, 2 2B, RBI)... Made his Major League debut July 24 vs. Baltimore, starting at shortstop and batting 9th (1x3)…recorded ﬁrst hit off Chris Tillman... Selected from Triple-A Tacoma July 24 & made MLB debut that night vs. Baltimore... 328 (99x302) with 63 runs, 22 doubles, 7 triples, 5 home runs & 37 RBI in Tacoma... At the time of his promotion was among Paciﬁc Coast League leaders inbatting average (2nd), runs scored (T4th) and triples (T3rd)... Went 3-for-3 with 2 doubles in the Triple-A All-Star Game to earn Top Star honors for the Paciﬁc Coast League. Hit .314 (165x525) with 100 runs scored, 28 doubles, 11 triples, 8 home runs, 60 RBI, 84 walks and 38 stolen bases in 134 games combined between High Desert and Jackson…led all Mariners farmhands with 108 runs scored, while ranking 3rd amongst all minor league players…also led all Mariners minor leaguers in hits (T8th-most amongst all MiL players), while ranking 2nd with 38 stolen bases…was one of 3 minor league players to hit over .300 with at least 100 runs scored, 45 extra-base hits, 30 stolen bases and an on-base percentage of at least .400…recorded 48 multi-hit games (3-H: 14 and 4-H: 2), while recording 5 hitting streaks of at least 5 games…began the season with High Desert and reached base safely in 29 straight games, the 8th-longest in the California League… promoted to Jackson on June 29 and reached base safely via a hit or walk in 59 of 67 games…recorded a season-high 4 straight multi-hit games, June 29-July 2 (.474/9x19, 3 R, 2 2B, 3B, 4 RBI, BB, 2 SB)…hit .294 (20x68) in 18 games for the Peoria Javelinas in the Arizona Fall League. Began pro career in Everett…reached base safely via hit or walk in 31 of 37 games, including first 16 career games, June 15-30…recorded 14 multi-hit games, including a season-high 4 hits July 16 at Salem-Keizer (4x5, 2 R, 2 RBI)…season-high 7-game hitting streak July 16-22 (.452/14x31, 3 R, 2 2B, 3 RBI)…hit safely in 10 of 12 games after promotion to Clinton on July 24…placed on the disabled list for the remainder of the season with a right wrist contusion on Aug. 13. April 19, 2017 Los Angeles Dodgers recalled SS Chris Taylor from Oklahoma City Dodgers. March 31, 2017 Los Angeles Dodgers optioned 3B Chris Taylor to Oklahoma City Dodgers. October 23, 2016 Chris Taylor roster status changed by Los Angeles Dodgers. October 7, 2016 Los Angeles Dodgers reassigned SS Chris Taylor to the minor leagues. September 23, 2016 Los Angeles Dodgers recalled SS Chris Taylor from Oklahoma City Dodgers. August 21, 2016 Los Angeles Dodgers optioned SS Chris Taylor to Oklahoma City Dodgers. August 9, 2016 Los Angeles Dodgers recalled Chris Taylor from Oklahoma City Dodgers. August 7, 2016 Los Angeles Dodgers optioned SS Chris Taylor to Oklahoma City Dodgers. June 25, 2016 Los Angeles Dodgers recalled Chris Taylor from Oklahoma City Dodgers. June 22, 2016 SS Chris Taylor assigned to Oklahoma City Dodgers. June 19, 2016 Seattle Mariners traded SS Chris Taylor to Los Angeles Dodgers for RHP Zach Lee. May 25, 2016 Seattle Mariners optioned SS Chris Taylor to Tacoma Rainiers. May 22, 2016 Seattle Mariners recalled Chris Taylor from Tacoma Rainiers. March 28, 2016 Seattle Mariners optioned SS Chris Taylor to Tacoma Rainiers. October 5, 2015 Seattle Mariners recalled Chris Taylor from Tacoma Rainiers. July 31, 2015 Seattle Mariners optioned SS Chris Taylor to Tacoma Rainiers. July 2, 2015 Seattle Mariners recalled Chris Taylor from Tacoma Rainiers. June 1, 2015 Seattle Mariners optioned SS Chris Taylor to Tacoma Rainiers. May 4, 2015 Seattle Mariners recalled Chris Taylor from Tacoma Rainiers. April 18, 2015 Seattle Mariners optioned SS Chris Taylor to Tacoma Rainiers. April 11, 2015 Seattle Mariners sent SS Chris Taylor on a rehab assignment to Tacoma Rainiers. 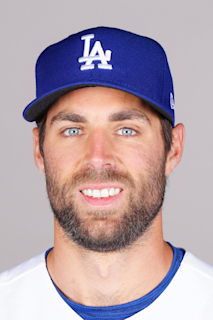 April 4, 2015 Chris Taylor roster status changed by Seattle Mariners. July 24, 2014 Seattle Mariners selected the contract of SS Chris Taylor from Tacoma Rainiers. June 10, 2014 Tacoma Rainiers activated SS Chris Taylor from the 7-day disabled list. May 15, 2014 Tacoma Rainiers placed SS Chris Taylor on the 7-day disabled list. April 1, 2014 SS Chris Taylor assigned to Tacoma Rainiers from Jackson Generals. January 14, 2014 Seattle Mariners invited non-roster SS Chris Taylor to spring training. June 19, 2013 SS Chris Taylor assigned to Jackson Generals from High Desert Mavericks. April 3, 2013 Chris Taylor assigned to High Desert Mavericks from Clinton LumberKings. March 7, 2013 SS Chris Taylor assigned to Seattle Mariners. September 20, 2012 Chris Taylor roster status changed by Clinton LumberKings. August 14, 2012 sent SS Chris Taylor on a rehab assignment to AZL Mariners. August 13, 2012 Clinton LumberKings placed SS Chris Taylor on the 7-day disabled list. July 25, 2012 SS Chris Taylor assigned to Clinton LumberKings from Everett AquaSox. June 14, 2012 Chris Taylor assigned to Everett AquaSox. June 13, 2012 Seattle Mariners signed SS Chris Taylor.